This kit is designed for use on 2002 and newer Johnson® 9.9 and 15 HP, 4-stroke outboards. DO NOT install on any other models. For safety reasons, this kit should be installed by an authorized Evinrude®/Johnson® dealer. This instruction sheet is not a substitute for work experience. Additional helpful information may be found in other service literature for your engine. This instruction sheet uses the following signal words identifying important safety messages. An outboard loses power at higher altitudes due to reduced air density. At 3000 ft. (915 m) above sea level and higher, additional power loss is caused by a rich fuel-to-air mixture. This causes a decrease in full throttle RPM and performance. IMPORTANT: It is acceptable to replace only the pilot jet for improved idle quality and low-end performance. However, to achieve optimum performance for mid-range through wide-open throttle, replacing the main jet is also recommended. IMPORTANT: Keep the original jets. 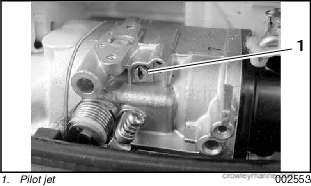 If the outboard is returned to operation at an altitude below 3000 ft. (915 m) above sea level, reinstall the original jets in the carburetor. After servicing the fuel system, momentarily pressurize the fuel system and check for leaks. Failure to check for fuel leakage could allow a leak to go undetected, resulting in fire or explosion. To prevent accidental starting while servicing, disconnect battery leads from battery. Also, twist and remove all spark plug leads. Always check fuel system components for signs of deterioration, cuts, cracking, or abrasion. If damaged, replace with Evinrude®/Johnson® Genuine Parts. 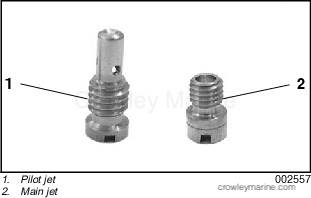 Use small flat-bladed screwdriver to remove pilot jet from carburetor and to install new pilot jet from high altitude kit. Remove lower engine cover from port side. 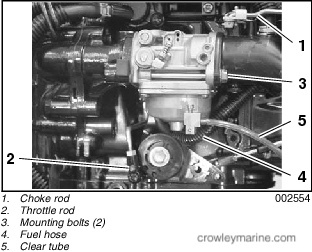 Disconnect choke rod and throttle rod. Remove two (2) mounting bolts and carburetor. Discard gasket. Disconnect fuel hose and clear tube from carburetor. Remove four (4) screws and float chamber. 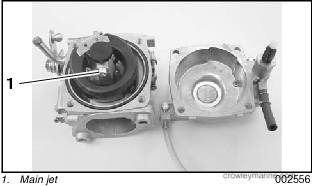 Use small flat-bladed screwdriver to remove main jet from carburetor and to install new main jet from high altitude kit. 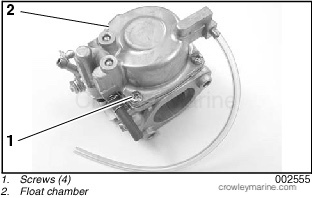 Do NOT reuse the carburetor gasket. The sealing capabilities will be insufficient. 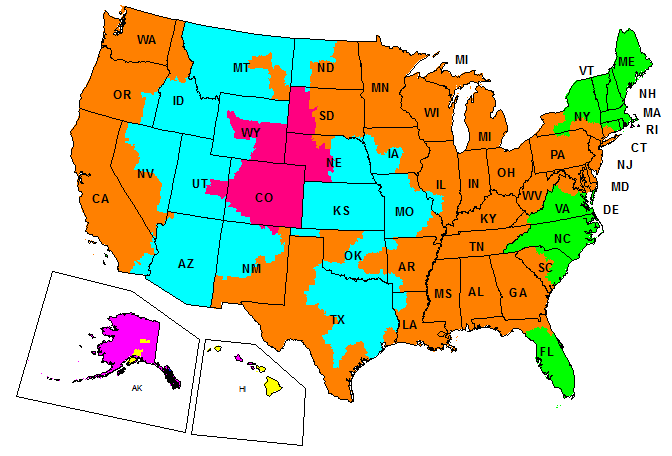 Air leakage will cause a lean air-to-fuel mixture, which could result in severe engine damage. Use new carburetor gasket, P/N 5033081. Torque two (2) mounting bolts to 89 in. lbs. (10 N·m).